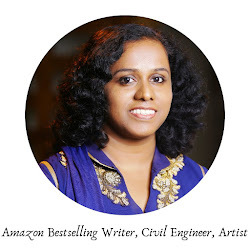 Today on 'On Writing, we have Ruchira Khanna, a talented writer who defines herself as just another soul who is trying to make a difference in this lifetime. 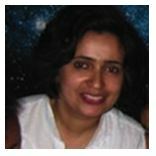 Ruchira is a Reiki Master in her spare time where she passes out information about channeling universal energy and conducts sessions. Stay tuned for another fiction novel coming in early Jan’2016. Welcome to ‘On Writing’ Ruchira Khanna. Honestly, I never thought of penning my thoughts cause I would just say it loud enough for anyone or everyone to hear it. Thus, was quite happy in my corporate life as a Biochemist. It’s after the birth of my son I kind of sobered down with my words and realized how soothing it is to say minimum yet mean a lot. That inspired me to pen down those words, and voila! The birth of a writer took place! Esp the ones who play a significant role in my book. I research for their meaning depending on the role they will be playing in my novel. I agonize over the part of finding a publishing house. Choices were my first book, and I did not even bother to look for one. Went ahead and self-published it. For my Children’s book I had to look for an illustrator but fortunately, after a year of looking, I could grab a deal of a publishing house n an illustrator in their house. I have a second novel coming up, which again took me over eight months to finalize upon a publisher. I guess until I find a literary agent, this will continue to agonize me! What is ‘Choices’ all about? How long did it take to complete writing it? 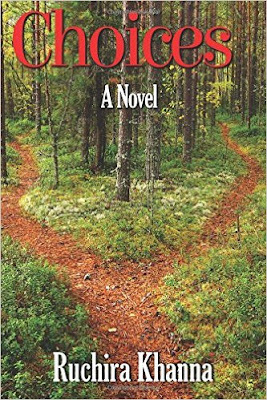 Choices: A Novel makes us ponder IF fate makes a man, or do his desires? Do ambitions and desires actually lead a person to true happiness and fulfillment, or does providence and life changing events actually show a person the true path to follow? ‘Choices’ raises these questions, and attempts to answer them. This Novel was a part of my Nanowrimo in the month of November 2012. So, took me a month to complete it. Fortunately, Leonardo gets an opportunity to stand on the intersection of desires versus fate. But, characters such as Mateo and Albert are my favorite who in spite of fate churning them like dead meat, could stand up and make the necessary choice. No doubt, man is the strongest when he is at rock bottom, but to be aware of it, and making a choice is what makes him admirable! Mateo made a decision to control his own choices, thus controlling his fate at this junction. Is there a certain type of scene that is harder for you to write than others? Did you face such an issue while writing ‘Choices’? For me, a take home message is very essential. Thus, decide on that foremost and then develop my characters. After that, I go with the flow while writing. So far the reviews for my plot for “Choices” are satisfactory. 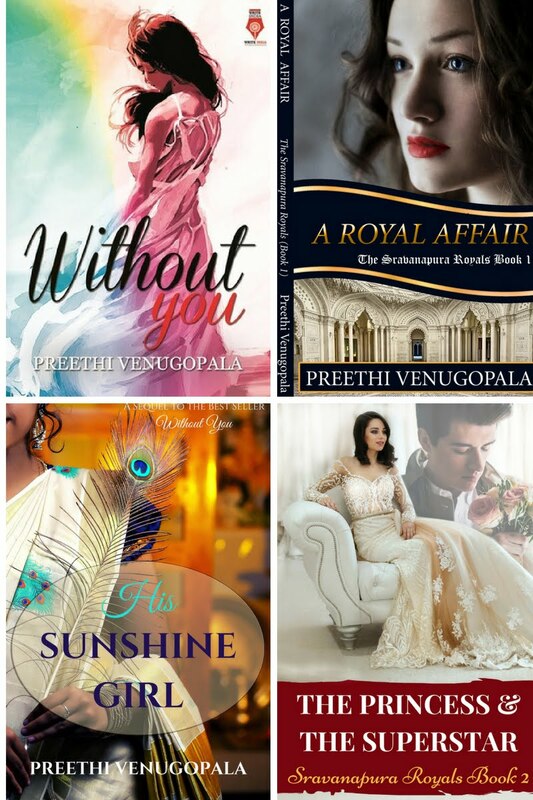 I thank my readers for their time to review it. However, being my first publication I did not research well for an editor thus, shows in my work. Overall still satisfied with it being my first published work. With regards to advising…I would embrace the bad, and convert it from bad to good. After all this is a ‘choice’ we ought to make, if we want to grow as a writer. 1) Allow your surrounding to inspire you. 2) Write because you feel for something not because you have to! 3) Be open to criticism and make it a stepping stone to move ahead. Thank you Ruchira for the interesting answers. I wish you all the very best for your future endeavors. Leonardo is a young man who is standing on a crossroad of life, facing choices. He has a few questions, questions that all of us have faced when facing choices that can change our lives. Does fate make a man, or do his desires? Do ambitions and desires actually lead a person to true happiness and fulfillment, or does providence and life changing events actually show a person the true path to follow? ‘Choices’ raises these questions, and attempts to answer them. It is a slice-of-life, a book written from the heart. 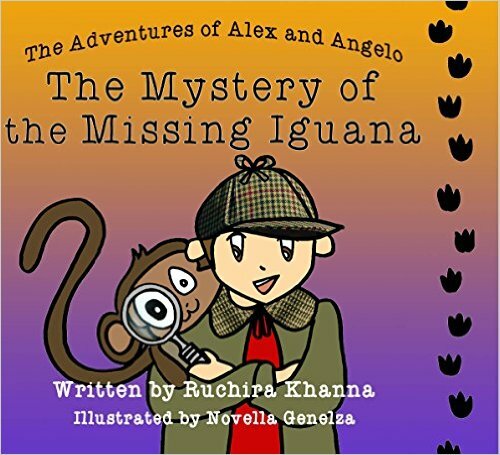 Alex and his pet chimpanzee Angelo are the young detectives of their neighborhood. When a friend's pet Iguana goes missing, Alex and Angelo immediately take on the case, and the sneaky reptilian leads them on an exciting chase. How will Alex and Angelo use their sleuthing skills to solve this mystery? 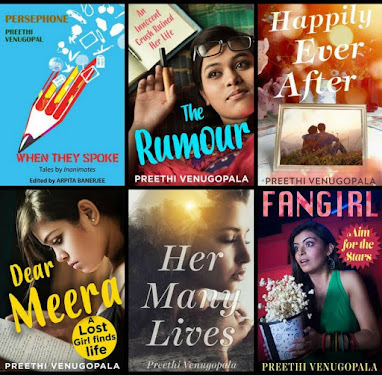 This is a wonderful interview, as usual.Keep it up, Preethi.